GRACE & CHOCOLATE. We each need a little of both every day. 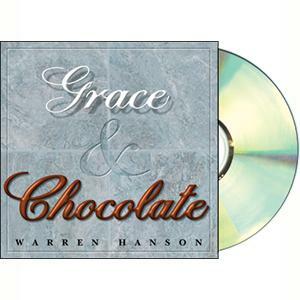 And we could each use a little bit of Warren Hanson’s music each day, too. This collection contains some of Warren’s best songwriting. And he does all the singing, all the arranging and playing. Everything you hear is Warren! There’s quite a variety here. It will be hard for you to decide which one is your favorite. Just like a box of... chocolates!